Easter is around the corner. If you're looking for exciting and creative activities for Easter, here are some activities to get their bodies and brains involved. Easter chocolate eggs are laid out in the candy store. The smallest and the simplest of the tricks are cheap, and the kids can buy them with their own pocket money. There are two kinds of eggs listed during this period. The small one is called fondant, which is a little more than an inch long. It is a thin layer of chocolate on the outside. It is a sweet and soft dough, and then wrapped in various shapes in colored tin foil. The other is an empty egg, which is slightly larger and generally larger than the duck egg. There is nothing inside, just a chocolate shell. Just break the shell and eat chocolate chips. As Easter approaches, the candy store's window will be filled with more beautiful eggs. There are also a variety of small gifts for attracting children. The chicks are made of fluffy wool, and the chick's mouth and feet are glued to the card. Lucky children may get several such gifts from relatives and friends. Easter eggs are meant to bring happiness to people - it is true! These eggs are beautiful and decorative, they represent people's good wishes and share the joy of seasonal change. Remember to make Easter eggs with your family and carry out an easter egg hunt with your kids, which will be another very happy family day event. Another symbol of Easter is the bunny because it is highly reproductive and people see it as the creator of a new life. During the festival, adults will vividly tell the children that Easter eggs will hatch into rabbits. Many families also put some eggs on the garden lawn to let the children play the game of finding eggs. Easter bunny and eggs have also become popular items during the holiday season. The mall sells a variety of bunny and egg-shaped goods, and is also filled with small rabbits and eggs made of chocolate in small food stores and candy shops. These "food bunny" look cute and have different egg shapes. It tastes sweet and delicious, and it is also very suitable for friends. Typical Easter gifts are related to spring and regeneration: eggs, chickens, bunny, flowers, and especially lilies are symbols of this season. On Easter Eve, the children paint their eggs for friends and family. Some of these eggs are cooked very old, and some are just empty eggshells. On Easter morning, the children will find the Easter basket in front of the bed filled with chocolate eggs, Easter bunny, fluffy chicks and doll toys. It is said that the Easter Bunny will hide the eggs indoors or in the grass for the children to look for. In some countries, the Easter Egg Roll event will even be broadcast live on TV. In general, traditional Easter foods include bread, ham, turkey, cranberry sauce, apple pie, and lamb. Traditional Easter food has two parts. Part of it is the bread and ham that the family makes themselves. Before Easter, every housewife of every household will make a lot of bread and ham, and bring it to the church with the eggs on Easter day to share with everyone. The other part is the Easter family meal. The content is basically the same as the Christmas dinner, with turkey, cranberry sauce and apple pie being an integral part. Of course, many people are not baking bread and ham at home. Every year, there are many special Easter food sales fairs on Easter. In addition to supermarkets, they are sometimes held in churches. American food on Easter is also very characteristic, mostly based on lamb and ham. Adding much to your home with our products. Don't forget that Lessohome.com also has a lot of suitable products for your dinner, including tableware, candle holder, wall/home Decor, artifact, and more. *The cover photo is from "https://www.pexels.com/"
This entry was posted in Canton Fair on April 17, 2019 by Celtic Yao. 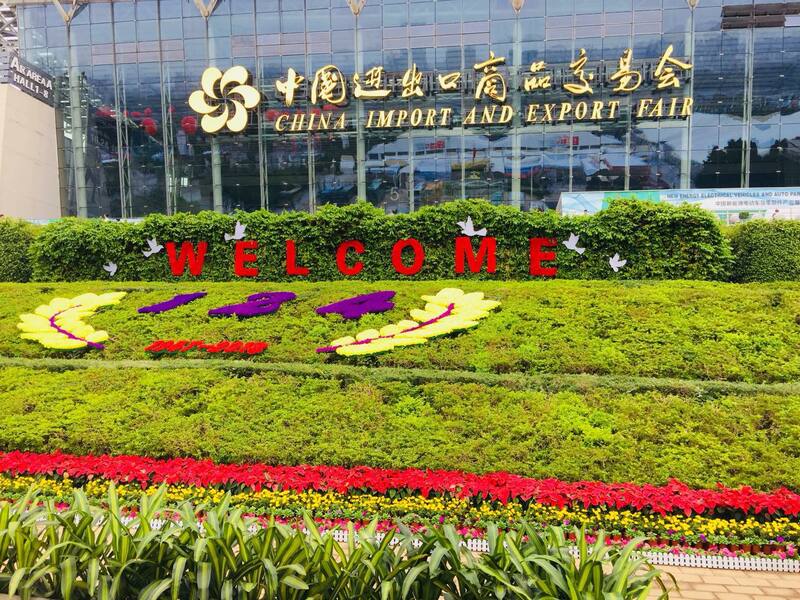 This entry was posted in Canton Fair on November 14, 2018 by Eva. 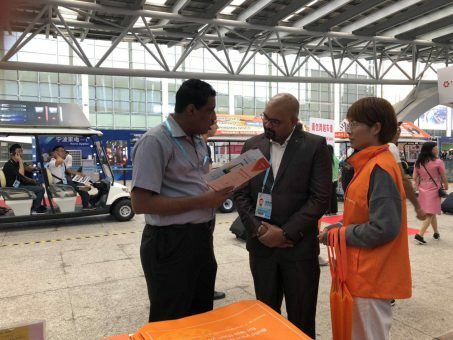 One of the world's largest trade exhibitions, the 124th Canton Fair attracts buyers from around the world, from neighboring Asian economies to buyers from America, Europe, Russia, Africa and the Middle East. 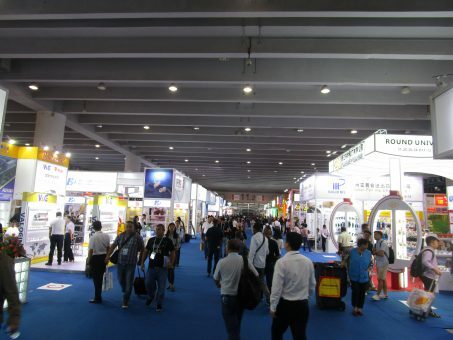 The Fair is also a showcase for China's manufacturing knowhow, covering a vast catalog of goods that includes almost every kind of product that consumers around the world use every day. The Chinese consumer market boasts one of the highest volumes of e-commerce transactions in the world. The total number of mobile payments and non-cash transactions in 2017 exceeded 124 billion, making it one of the largest single markets for such transactions worldwide. The experience gained in servicing such a huge market has brought Chinese e-commerce platforms and service providers to the forefront of this service industry. 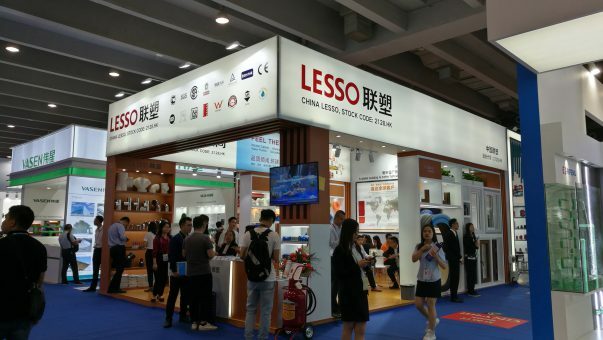 Today, Chinese e-commerce companies are renown for their industry-leading services and skills and Lesso Home's e-commerce division, lessohome.com is pleased to be among this group of respected brands that has emerged. This new era of global e-commerce, that touches on nearly everything consumers do each day, together with the multitude of social media platforms and ever increasing reach of the internet, has changed the way we live. Every day, nearly every one of us will browse for products and services online via a laptop, a desktop computer or mobile phone; place orders and/or receive the products or services we have ordered. This has put modern enterprises under increasing pressure as they become more aware of the need to change the way they do business and integrate their products and services into the e-commerce landscape. 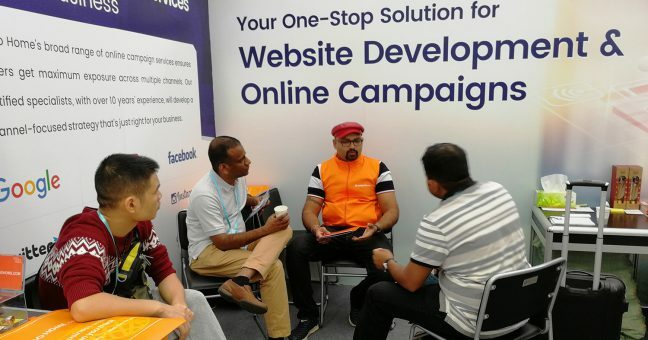 Lesso Home's professional Web Development and Digital Marketing Solutions will get your business online for far less than you think. Company representatives meet with staff from Lesso Home's e-marketing division. 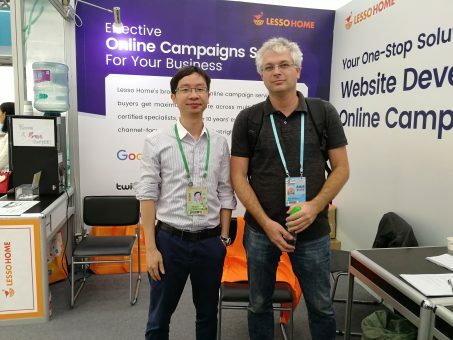 Lesso Home's certified specialists have over 10 years' experience in online marketing, web development and search engine optimization. 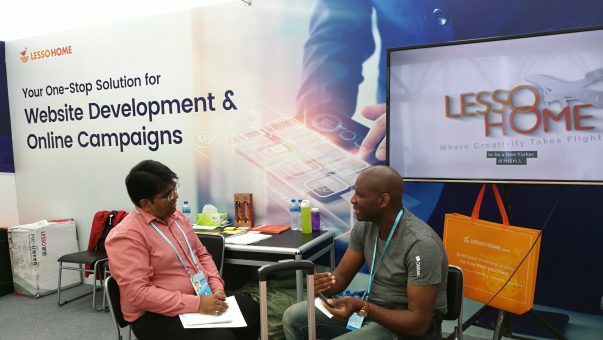 All our booth visitors are invited to talk to us about their business' needs and goals in a one-to-one setting. At Lesso Home our goal is to help your business succeed. Visitors to the Lesso Home booth are always given a warm welcome! This entry was posted in Canton Fair on November 1, 2018 by Eva. 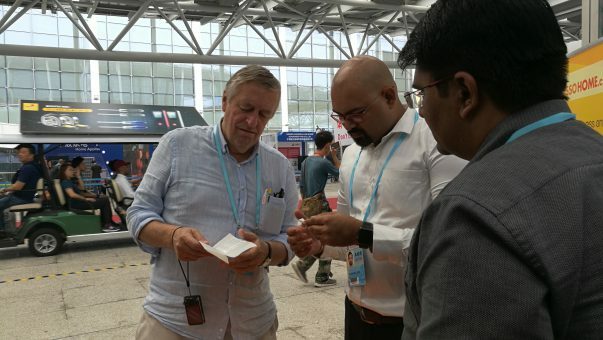 This entry was posted in Canton Fair on October 16, 2018 by Eva.